If you don’t stock Fresh Tomato Soup concentrate in your freezer, substitute the tomato soup that comes in the red and white can at your grocery store. 1. Thoroughly mix 1/2 cup of the tomato soup, the beef, pork, onion soup mix, bread crumbs and egg in a large bowl. Place the mixture into a large oven safe skillet and firmly shape into a loaf. 2. 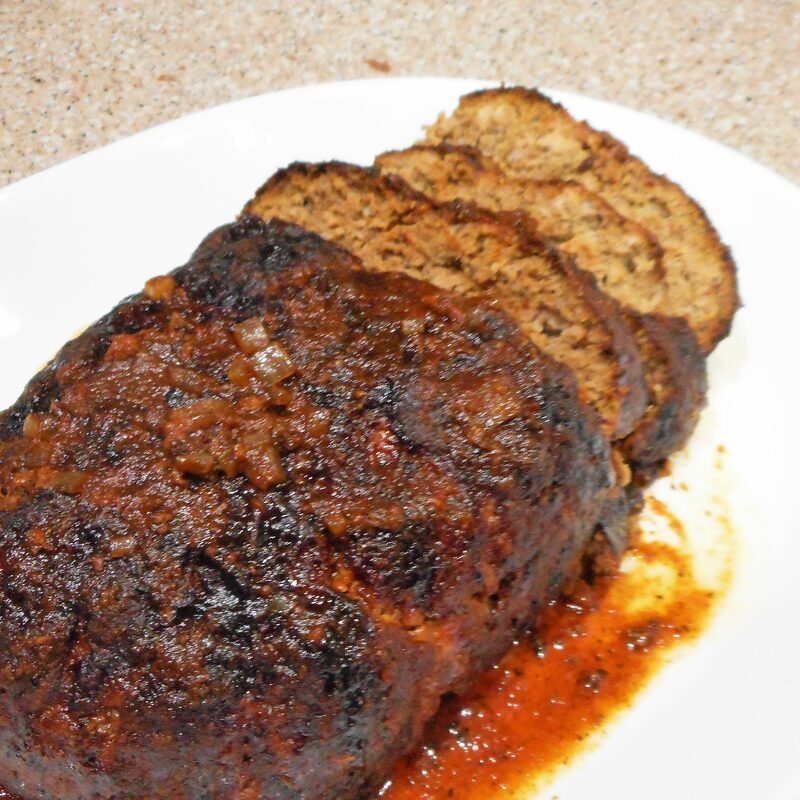 Bake at 350° for 1 hour 15 minutes or until the meatloaf is cooked through. 3. Remove the meatloaf to a plate and tent with foil to keep warm. 4. Drain all but 2 Tbsp of drippings from the skillet. Over medium heat, cook the diced onions until softened, then add the broth and stir up the browned bits from the bottom of the pan. 5. Cook and stir until the broth has reduced by half, then stir in the remaining tomato soup. Taste and correct the seasonings, heat through, and serve the sauce on the side.